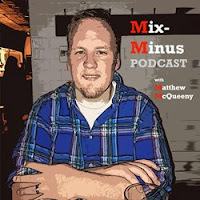 Mix-Minus Podcast | Matthew McQueeny: #62: Are Spurs the Greatest Franchise? #62: Are Spurs the Greatest Franchise? Matt O'Daniels joins the show to talk 2014 NBA Finals, the San Antonio Spurs legacy, where the Miami Heat goes from here, Carmelo Anthony, whether playing in New York is really a great thing, and much more.